Stevenage have always struggled finding a prolific goal scorer. Last season, Francois Zoko was their top scorer with 10 goals, the next highest was Darius Charles on just four. Stevenage have boosted their attacking threat with the signing of Adam Marriott and Calvin Zola. 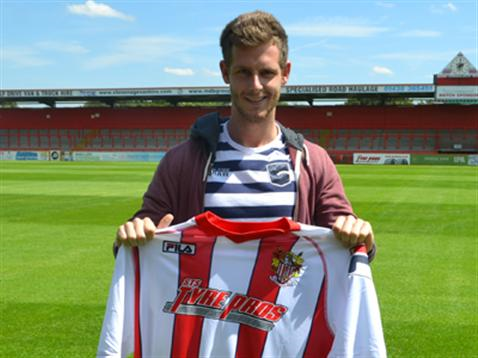 Adam Marriott has looked threatening and worth the five-figure sum Stevenage paid for him. He continued his form from last season, in which he scored 45 goals in 42 games for Cambridge United, during pre-season scoring a hat-trick against Chesham. He said he is settling in well at the club and is already linking up well with fellow striker Darius Charles. Will the 23-year-old solve Stevenage’s lack of goal scoring players? Macclesfield Town, Yeovil Town or Notts County- Who survives in League Two?